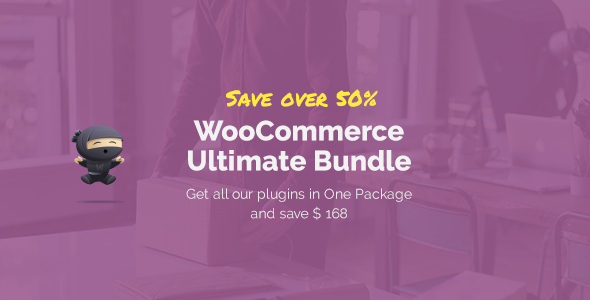 We bundled our 15 WooCommerce Plugins into one great bundle for you! So instead of buying each plugin separately you can now get all our plugins in once. And the best? You will get all of them over 50% cheaper ($79 instead of $268) – what a deal!